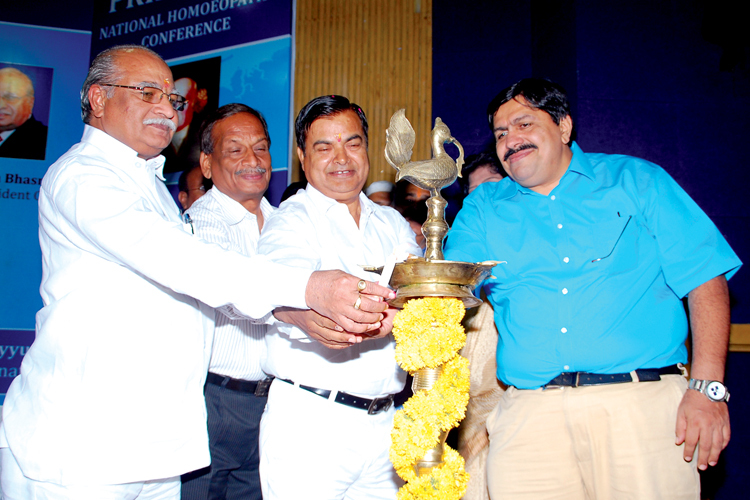 BHOPAL.APR.27: A National Homoeopathic conference “PRIDE 2013” was organized by the New Era Educational society in collaboration with Bhopal Government Homoeopathy Medical College at Samanvaya Bhawan, New Market. Dr. Ramjee Singh, President, Central Council of Homoeopathy inaugurated the event Dr. Arun Bhasme, Vice President, Central Council of Homoeopathy , Dr.Mohamedd Ilyas, Dr.S.K.Misra, Principal, Government Homoeopathy Medical College, Dr.Ayesha Ali, Registrar of M.P.Council, Dr.Mohad Zakaria, Member, Central council for Homoeopathy also participated, Dr. Tanvir Hussain, Dr. L.M.Khan Dr. Jawahar shah were the speakers of the scientific sessions. The occasion released souvenir and awards also distributed.